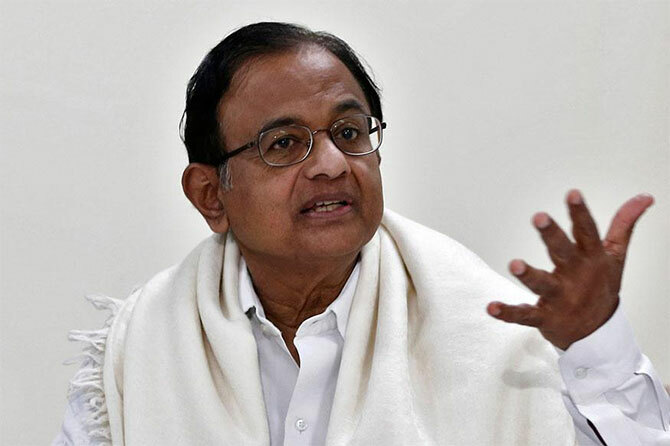 The Enforcement Directorate on Monday filed a status report in the Supreme Court regarding violation of the Foreign Investment Promotion Board (FIPB) while stating the alleged role of former Finance Minister P Chidambaram in the Aircel-Maxis case. The apex court fixed the matter for further hearing on May 2. Earlier in February, the apex court gave Bharatiya Janata Party (BJP) leader Subramanian Swamy two weeks to place credible material to prima facie prove that Chidambaram deliberately granted FIPB clearance to the Aircel-Maxis deal in 2006. Swamy was also asked whether Chidambaram knew that the limit was Rs 600 crore (Rs 6 billion). Earlier in February, the Enforcement Directorate had moved the apex court against the special court's order in the case, which discharged Maran brothers and other accused without furnishing the bail bond properly. The Enforcement Directorate had also urged the apex court not to release the properties attached in the case. Earlier, Swamy presented his case of an illegality committed by Chidambaram in granting FIPB clearance to the Rs 3,500 crore (Rs 35 billion) deal in 2006. A Delhi court had earlier in February discharged former communications minister Dayanidhi Maran and his brother Kalanithi Maran after it found insufficient evidence to prosecute them. Maran brothers were accused by the investigating agencies of helping Malaysian group Maxis to acquire Aircel in exchange for a kickback of approximately Rs 700 crore (Rs 7 billion). The Central Bureau of investigation (CBI) Court had on December 19 last year deferred pronouncing its orders against Maran brothers and others to December 22. Pronouncing the order, the court had then said, "There is no manner of doubt that by the standard of subject matter and periodicity of alleged crime, the case fairly/squarely falls within the description/ designation of the 2G scam." The Enforcement Directorate alleged that two firms, South Asia FM Limited (SAFL) and Sun Direct TV Private Ltd. (SDTPL), had received Rs 742.58 crore (Rs 7.43 billion) as "proceeds of crime" from Mauritius-based firms and that the two firms were then allegedly controlled by Kalanithi Maran.